After bringing in the New Year, we are all reminded to reset our short term goals or check in on long term goals. For many of us, some of these goals include maintaining their health. In fact, about 21% of New Year’s resolutions include losing weight and healthier eating according to Statistic Brain. However, Forbes states that only 8% of people actually achieve their New Years Resolution! But, not to worry, because AGI is going to help you maintain your health by creating awareness every month on certain health matters, such as heart disease, AIDS, cancer, and so much more. By getting involved in the medical industry, not only are we helping produce affordable and resourceful specialty vehicles, but we’re giving back to communities the power of knowledge. This month is Cervical Health Awareness Month. 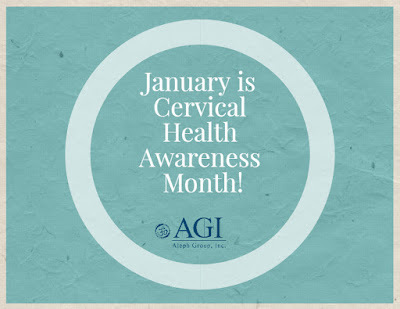 According to the National Cervical Cancer Coalition (NCCC), “Nearly 13,000 women in the United States are diagnosed with cervical cancer each year, but the disease is virtually always preventable with vaccination and appropriate screening (Pap and HPV tests).” In other words, you have the power to stay healthy by getting tested for HPV and getting vaccinations with the use of mobile clinics. Getting exams has never been easier with portable medical units! Did you know: HPV is transmitted through sexual contact and when not treated properly, causes cell changes that lead to cervical cancer? That’s why it’s important to get tested. It really is simple with more and more clinics or humanitarian organizations offering special programs such as basic exams on the go with mobile medicals. So what can you do to not only sustain excellent health conditions but also make other women become aware of the importance of getting screened? Of course get tested and let your voice be heard. You may also refer to the lipstick smearing project back in 2015. Maintaining a healthy diet and reducing exposure to smoking and second hand smoke will also help reduce risk of cervical cancer. It’s recommended to have a pap test between one to three years. Now more than ever is there an ability to get tested easily by not only visiting a clinic, but if you’re unable to get to the clinic, have the clinic come to you! Look for a mobile clinic schedule, or ask your local clinic for more information on local mobile clinics who have affordable and even free, health exams and even give lab results back to you the same day!